Conveniently located in downtown Toronto at College and Dovercourt, this studio is run by it’s Founder and Principal Photographer, Daisy Hsieh and videographer/ editor Mario Ostojic. 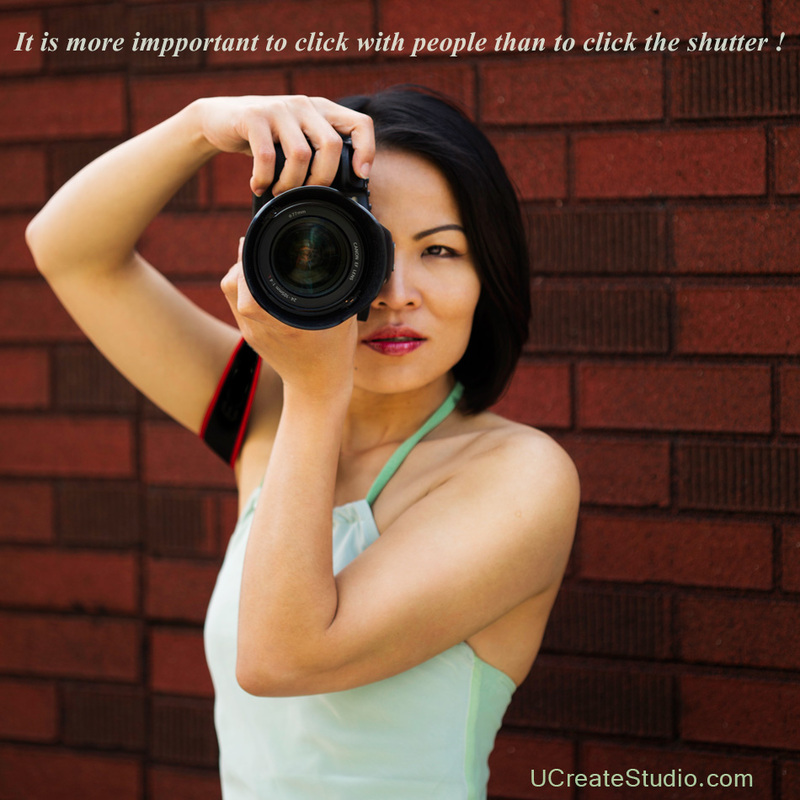 U Create Studio specializes in Headshots/ portraits for Corporate Business Executives, Lawyers, Realtors, and Actors; as well as, Lifestyle portraits for Dating websites, Architecture photography, and more. In addition, the studio now offers corporations and self employed business owners with professional short video productions to help promote themselves and their products. On top of this, we offer On-Camera coaching, and written content development for video presentation. UCreate Studio is fully equipped with high quality professional lighting and access to natural light, with options of backdrops, ranging from pure white to textured and natural brick walls. What ever your need we can make it happen! Book a free consultation and chat over a coffee! Born on January 29, in Taiwan, Daisy Hsieh has been living independently away from home for school since the tender age of sixteen. After having graduated from college in Taiwan, she came to Brandon, Manitoba, Canada. Having overcome several obstacles and life changes, she bravely decided to move to the bigger city, Toronto. As an Aquarius, Daisy was always naturally drawn to art and design. She decided to follow her passion and applied for the renowned Graphic Design Program at the International Academy of Design and Technology (IADT) back in 2005. Once accepted into the program, to her surprise, she was instantaneously awarded an Entrances scholarship from a photoshop design collage. In the class. She was one of the top three students in the class. She admits it was effortless because she loved what she was doing. Thoroughly inspired and motivated, she branched into modeling. This experience empowered her and greatly contributed to her self-esteem. Soon after graduating from IADT, she worked as a freelance graphic designer. Her graphic design background and previous modeling experience greatly helped her develop into a professional photographer within a short period of time. She was determined and was already equipped with the necessary knowledge. She was photographing tirelessly and endlessly, quickly expanding her photography subjects, ranging from fashion and beauty, to business headshots and corporate portraits. Now she is an expert in the field of corporate headshots and portraits. To Daisy, her best rewards are instances when her business clients, new models or just ordinary people, who call themselves “unphotogenic”, end up being astounded after seeing themselves transformed into “photogenic” individuals. This transformation is because of Daisy’s talent. The feeling of having achieved this is greater than any other she says. Read client testimonials to see what clients say about her. No matter the project, the setting or the subject, Daisy Hsieh is the photographer you have been looking for and have yet to work with.